Director Chimbu Deven says the biggest advantage of making fantasy films is that they don't have a language barrier and can easily appeal to everybody across all age groups. "With great visuals, fantasy films can appeal to everybody. I strongly believe that language is never a barrier when it comes to such films. 'Puli' is not just for Vijay fans but it's targeted at everybody, from kids to older folks," Deven told. 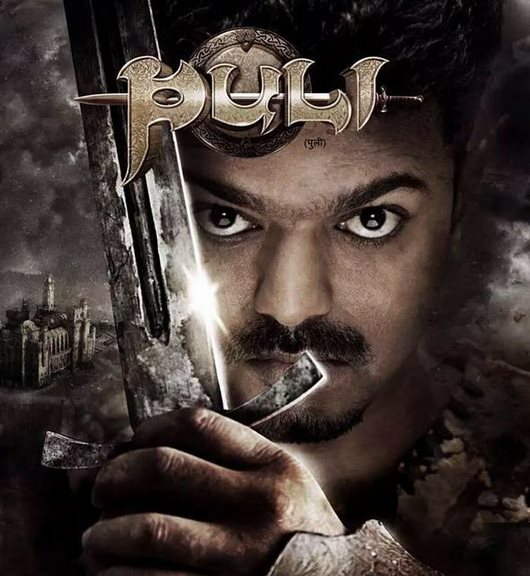 "Puli", which features Vijay, Shruti Haasan, Sridevi and Hansika Motwani in the lead roles, is tipped to be a high budget fantasy drama set against the backdrop of an ancient kingdom. The film releases in cinemas on Thursday in Telugu and Hindi as well. Deven wonders why fantasy films are rarely made nowadays. "Tamil cinema was known for some of the best fantasy films. I don't understand why we've stopped making them. In the last few years, Telugu filmdom explored this genre quite well. I hope 'Puli' gives Tamil filmmakers the confidence to make more such films," he said. A cartoonist by profession, the director says the experience helped him in the making of "Puli". "Even before I wrote the script, I visualised key scenes in sketches. This helped me in explaining to my art director and VFX supervisor what exactly I was looking from them. It made all our work much easier," he said. On working with superstar Vijay and veteran actress Sridevi, he said that their presence hugely benefited the movie. "With such stars on board, the market value of a film certainly goes up. I wrote this film for Vijay, and I wouldn't have done it if he wasn't interested. When I narrated the script to Sridevi, she was so excited that she immediately wanted to be part of the project," he added.